Hey guys, in this post, I will tell you about the best things to do in Maldives for any budget. 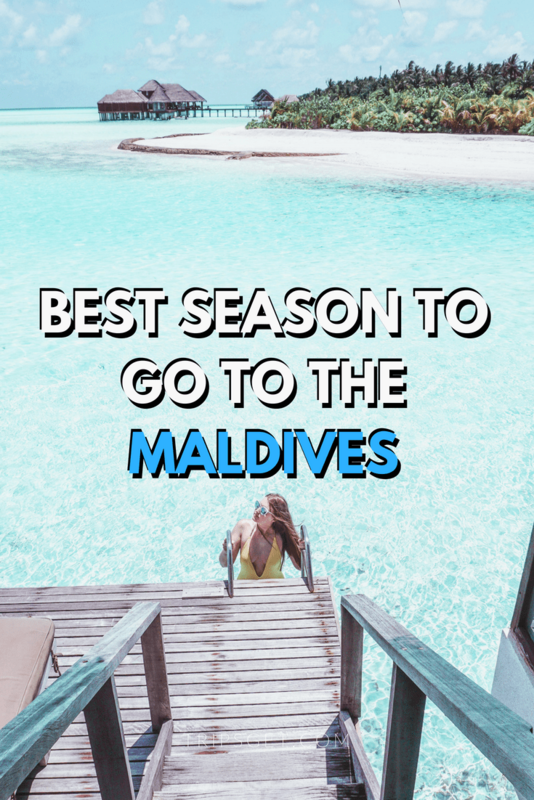 Also, you will find out what is the best time to go to Maldives and what to expect from the Maldives in May or during the monsoon season. I just returned from our 5-day trip to the Maldives and I already really want to go back. That, however, won’t happen at least until next year (which makes me sad). 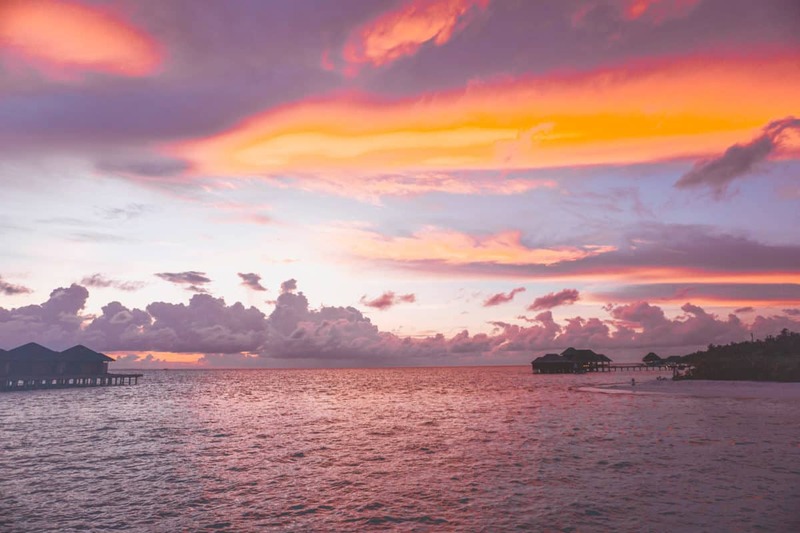 Nonetheless, I’m ready to tell you about my experience as well and of course, about the resort, where I’ve stayed – Anantara Veli. 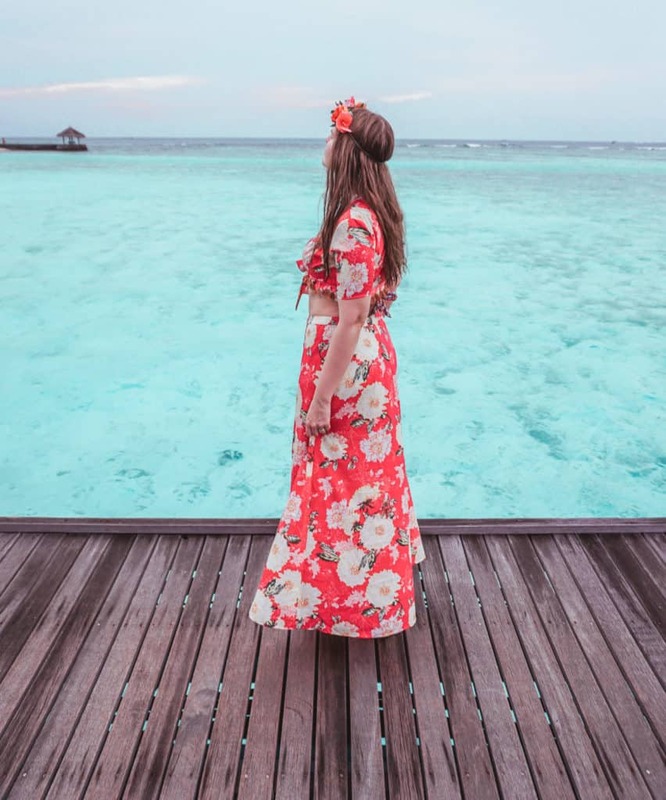 I had tough times picking the resort for our 4-day trip to the Maldives and in the end, spent around a couple of weeks finding the perfect hotel. In case you’re interested in knowing WHY ON EARTH did it take me (and Pepe, of course) to pick the hotel, head to this post, where I explain it in detail. After a long research of all our possibilities, we decided to stay in Anantara Veli and loved every minute of our stay. 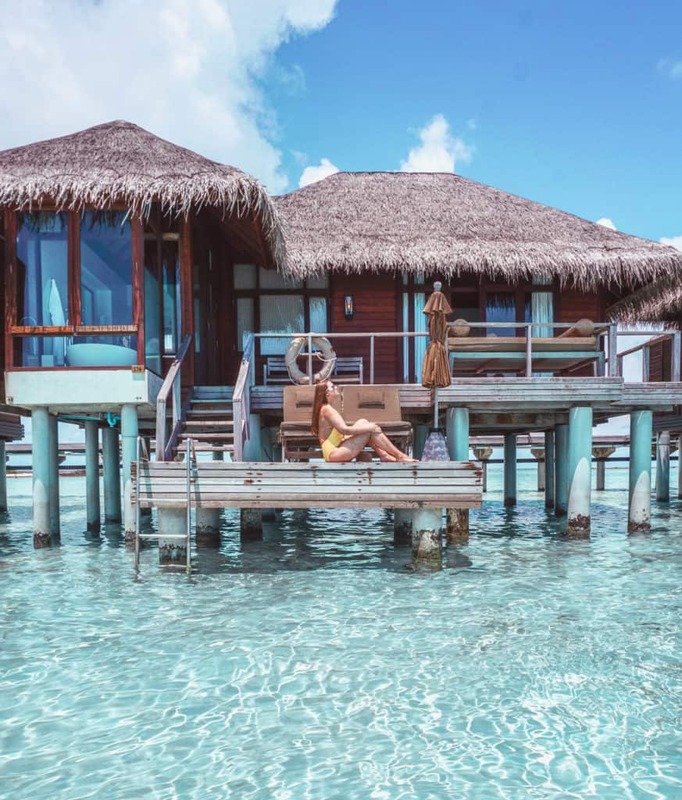 Anantara Veli has only 60+ water villas, and it’s an adults-only resort, meaning that most of the guests will be honeymooners and couples. It’s also not exaggeratedly expensive (you can check the price HERE). Maldives in May: what to expect? We picked May for our vacations in the Maldives, despite the start of the rainy season and to be honest; it’s not as bad as it seems. In fact, I liked the Maldives in May, as it was sunny only half of the time and the temperature was very comfortable. The first two days were cloudy, and there was even rain for two hours every day. However, it was enjoyable to swim, and we didn’t also get burned. Once the sun came out the next day, we returned from our snorkelling trip full of really severe burns (even though we used SPF 50). So well, if you’re going to the Maldives during the rain season (from May to November), you have a chance to have a lot of rain, but it’s not guaranteed! Most probably, it will rain a bit every day. 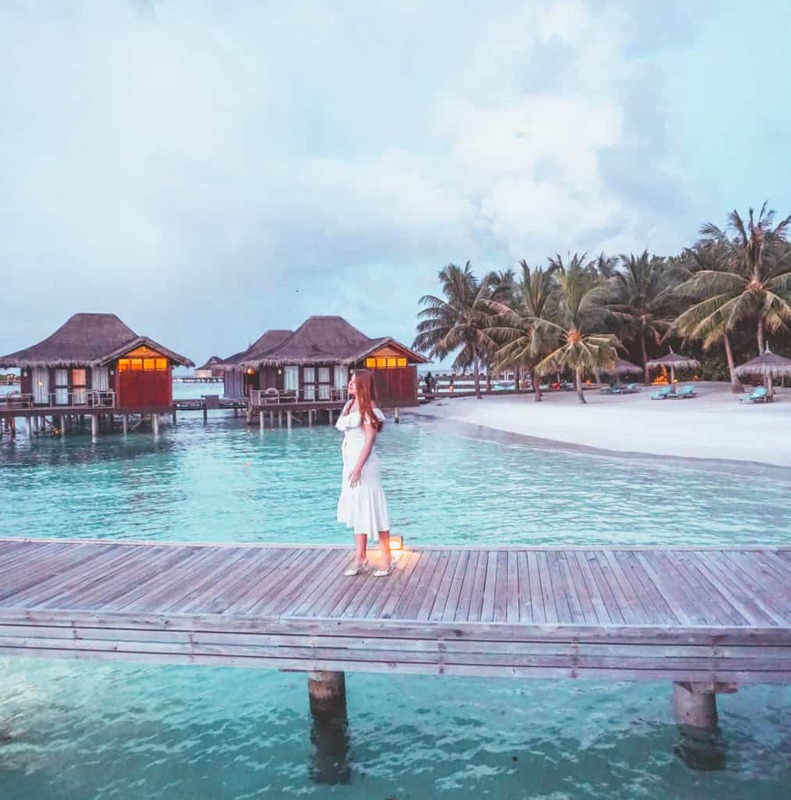 However, if you want your holiday to be risk-free, try to avoid visiting the Maldives during the rain season, as I’ve seen a couple of reviews on Tripadvisor that mentioned non-stop rain during every day of their vacations in the Maldives (although it’s very unlikely to happen). If you’re wondering when to go to Maldives and don’t want to have rain during your holiday, try to visit Maldives during the dry season that lasts from December to April. March and April are the hottest months, so the probability of getting sunburnt is higher. September – January are the coldest months, but then again, Maldives is so close to the equator, that cold isn’t freezing, as you can imagine. There are various things to do in Maldives, so don’t think that you are just going to be stuck in your room / water villa, eat and swim. Maldives is a fabulous destination for snorkelling. You can see all kinds of colourful fishes (even in your hotel, if you’re lucky), turtles, stingrays and even baby sharks! A couple of days ago we also saw a lobster in the wild. And of course, these little crabs that always hurry somewhere are adorable too! 3. Take a boat tour to a private island. Ever dreamt of being on a private island with absolutely no one bothering you? Well, you can do it in the Maldives! 4. Participate in the activities of your resort. Resorts in Maldives aren’t as fun as the family resorts somewhere in Spain, Greece or Turkey with the animation team of 50 people trying to “animate” you every evening. Since we stayed in the adults-only resort, there were no family activities. However, we had yoga classes, cooking masterclasses and even open-air cinema. Not bad, huh? Finally, you can improve your photography skills in the Maldives. The Maldives is a real paradise for taking pictures, so unleash your creativity and produce some gorgeous photos! Liked this post about the best time to go to the Maldives, Maldives in May [and best things to do in Maldives]? Share it on Social Media!